Aug. 4, 2018 • 5 p.m. CT • Whiting, Ind. 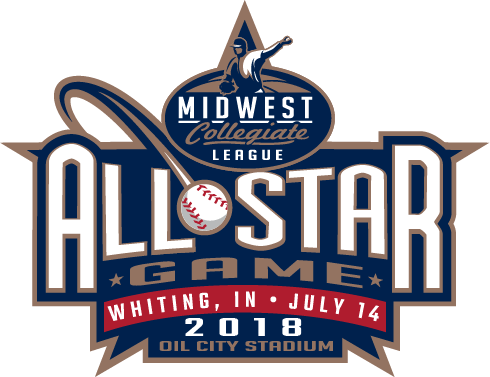 The trophy will be in the building on Saturday night at Oil City Stadium as the Northwest Indiana Oilmen can secure their third league championship with a victory. DuPage County needs a win to stay alive and force the series to shift back to Lemont for a decisive third game on Sunday. The Oilmen have not clinched an MCL title at home since 2012. A win would allow the Oilmen to become the first team since the 2014 Southland Vikings to sweep through the MCL playoffs, winning the league championship without a postseason loss. 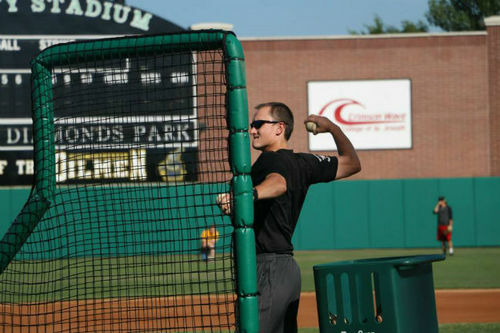 The Oilmen will look to send manager Adam Enright out in style as Saturday marks his final game at Oil City Stadium, ending a seven-year run on the coaching staff and four years as the manager. The 2018 Oilmen got off to a slow start, as they were 2-7 in their first nine with both wins coming over Crestwood and just 4-8 through 12 games (1-8 against non-Panther opponents). That brings back memories of 2016, when the Oilmen started 1-6 but eventually won the MCL title. The Oilmen have utilized exactly two pitchers in each game this postseason – and the bullpen men have played a key role in the team’s 3-0 postseason record. Max Franklin, Chad Patrick and Pedro Rodriguez have combined to allow just two runs over 10 1/3 innings. They have accounted for two wins and one save this postseason. Enright isn’t the only one who will see a long-standing Oilmen tenure end this weekend, as Christian Howell will make the final start of his four-year Oilmen career on Saturday. He’s back on the bump on three days of rest and will attempt to rebound from allowing seven earned runs on eight hits and four walks in four innings on Tuesday against Southland. This is a familiar situation for Howell, who pitched against the Hounds in Game 2 of the MCL Championship Series in 2016 at Oil City Stadium with a chance to close it out, but suffered a tough-luck loss in a 5-3 defeat that saw the Hounds grab the lead with two runs in the eighth. The Oilmen offense continued to thrive in Friday’s series opener, as NWI scored four times in the sixth inning and banged out 13 hits (four by Jake Plastiak – three for extra bases) on their way to a 9-8 win. The Hounds won their fourth MCL regular season title this year, but that success hasn’t necessarily translated into league championships in the postseason. They have just one MCL title, which came in 2015. DuPage County played an exhausting three-game series with Bloomington in the opening round that culminated with an 11-10 win in Game 3 on Thursday, while the Oilmen earned a day of rest and were able to keep arms fresh thanks to a two-game sweep of Southland. The Hounds lineup is always dangerous, as the top four hitters in their batting order hit above .350 in the regular season. This matchup has been taking place since the two teams faced off on Opening Day 2012, the first game in franchise history for both squads. The season series between the Oilmen and Hounds was a 4-4 deadlock, while the Oilmen hold a slight 33-31 lead in the all-time series. Click here to view full PDF Oilmen game notes.